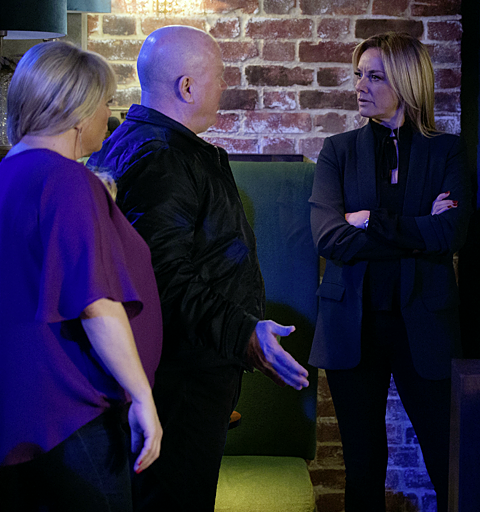 Sharon and Phil give Mel an ultimatum - but is Hunter really the thief? When Phil gives her until the end of the week to repay the missing cash, Mel turns to Jack for help and soon the finger of suspicion is pointed firmly in Hunter’s direction. Could he be the thief? Martin and Stacey’s attempts to keep their reunion a secret are thwarted when first Sonia, then the police, catch them in a clinch, and soon the rest of Walford has learnt the truth. And Carmel launches a campaign to get knives off the streets.